Not visited Benessere in Bromsgrove before? 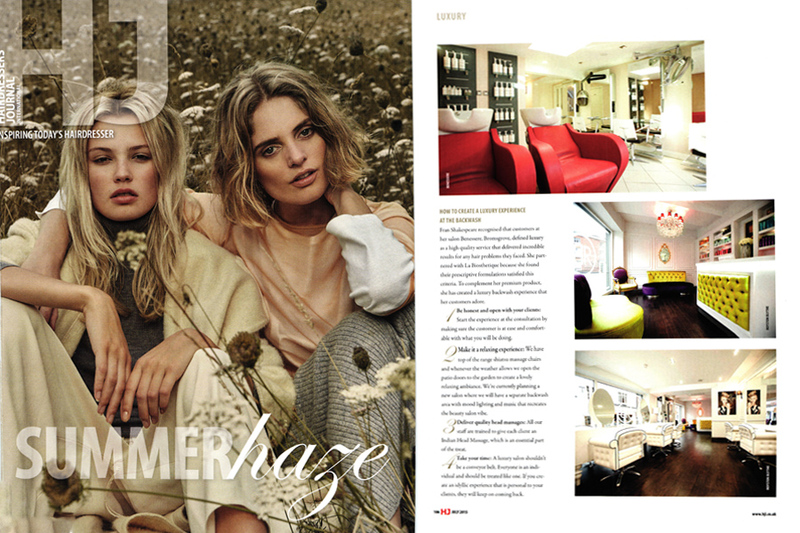 You’re in for a pampering luxury treat as Salon Director Fran Shakespeare explained in a recent interview for Hairdressers Journal, the hairdressing industry’s leading trade publication. The prestigious national magazine was keen to learn the secrets of how Fran and her team have created such a high-end luxury customer experience. I recognised clients at my salon, Benessere in Bromsgrove, defined luxury and a high quality service as one that delivers incredible results for any hair problems they face. I partnered with La Biosthétique because we find their prescriptive hair formulations satisfied this challenging criteria. To complement this premium hair product, the Benessere team have created a luxury backwash experience that our clients simply adore. Your Benessere experience begins with an in-depth consultation, where we ensure you’re at ease and comfortable with what we are recommending for your hair. I want all our clients to have a truly luxury experience and so have invested in top of the range shiatsu massage chairs. Whenever the weather allows we open the patio doors to our courtyard garden, letting the sunlight stream in and creating a lovely tranquil ambience. All the Benessere team are trained to give each client a soothing Indian Head Massage – an essential part of the treat. A luxury salon should not be a conveyor belt. We believe everyone is an individual and should be treated like one. This belief is the cornerstone of Benessere’s values and philosophy. I have been hairdressing for over 35 years and experience shows, time and time again, that if you create an idyllic experience that is personal to your clients, they will keep on coming back.